With a reference to discussion in the following thread on PCI, I went for Joby Focus. I was a bit wary of trying 100-400mm on it. 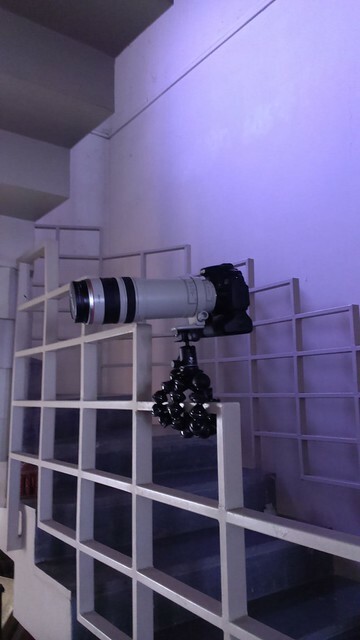 But surprisingly, the setup (ballhead + canon 60D + battery grip + 100-400mm) felt quite sturdy and stable. Personally, I will not hesitate to use 100-400 on Joby though with a bit of caution, especially in a hanging position. 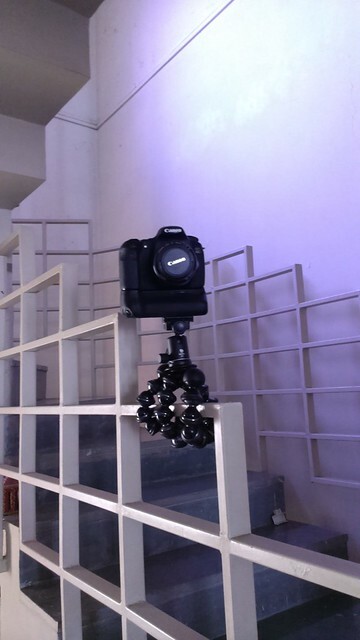 Verdict - Very stable gorillapod. Waiting eagerly to try it in the field. 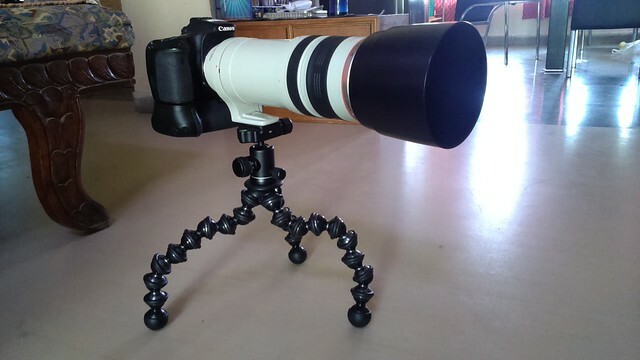 I am sure it will give me lot of steady and sharp pics than the previous ones. Excellent. I have the SLR model but it struggles with my D700 with 14-24 and ballhead. May buy one of this. It was tempting to buy the SLR model to save some bucks. But I am glad that I went by the impulse. Still, I wasnt expecting Focus model to handle the bigger lens setup this well. Do add some photos taken with the set up once you get to test it out in the field. Herr Doctor... Your decision is spot on. I bought my slr for using with mft. Along with a novoflex 19 ball it is great for lighter set ups. Unfortunately I have sold that lighter system and upon call of duty with nikon ff, it has done admirably. Only issue is that it spreads it's legs sometime , but never lowers it's head :-D . But now I'm gunning for your model and life looks good . With these only issue is height, you have to carry that tree, banister, car hood with you always. Thank you for providing us an insight of your new purchase. I always thought that GP's were cheap, guess I was wrong! Yes the USP would be low weight and easy of carriage and of course the low shooting angle. Shall wait for a complete review along with pics that you shoot with your new baby.